Under the new directive government health facilities are to provide free care to under-five children and pregnant and lactating women. “Having worked in our health system for years, I can say this is the biggest change [the system] has ever undergone," S.A.S. Kargbo, health ministry director of reproductive and child health, said in a statement released by Save the Children, which has worked closely with the government on the initiative. In Sierra Leone one in five children die before age five and one in eight women die from pregnancy-related complications, according to the UN Children’s Fund (UNICEF). But health fees are not the only thing standing in the way of decent public health services. President Ernest Bai Koroma and top health officials recently toured hospitals around the country to check their readiness, and found a lack of running water and electricity, insufficient generators, facilities “acutely short of personnel” and inadequate beds and medical equipment, according to a government press statement. Cuban and Nigerian doctors work in Sierra Leone to fill part of the personnel gap. Sierra Leone has about three doctors per 100,000 people; the World Health Organization recommends at least 228. The government says it is on track – with the financial backing of several donors and NGOs – to get health facilities up to speed, but this will take months, even years. A 10-day strike by health workers was called off on 28 March after President Koroma announced a pay hike for health workers, but many of their grievances are still far from resolved. Vidhya Ganesh, deputy UNICEF representative in Sierra Leone, said it was important to see free health care as one step in a broader process. But there is concern that public hospitals will be under immediate pressure with a flood of people seeking free care. 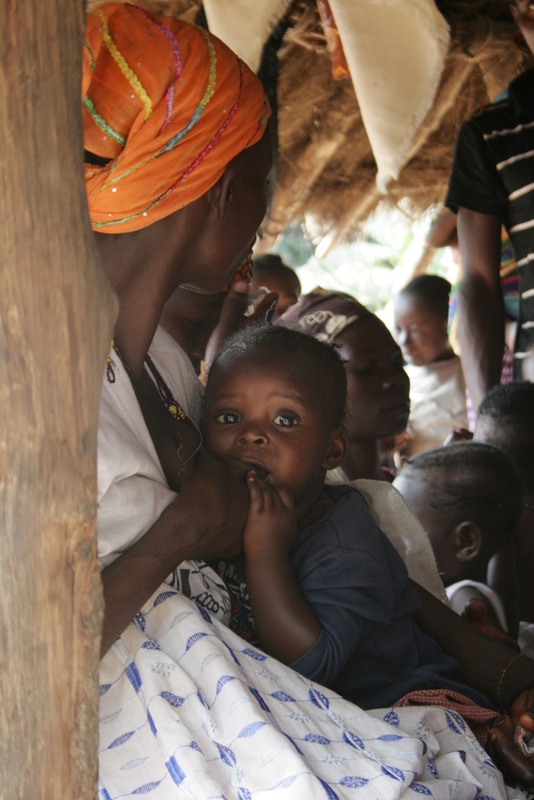 “We know from experience in other countries that have implemented free care that the first months are critical,” Laurence Sailly, interim head of mission for Médecins Sans Frontières-Belgium, told IRIN. The government must have a strategy in place to equip and staff health centres as needed, she added. The health ministry plans to increase the number of midwives trained each year from 30 to 150, according to reproductive health director Kargbo. Many health care workers have been using revenue from user fees to cover their wages, says Save the Children, which endorses a government strategy to increase medical staff salaries to reflect the new workload. But many patients go to clinics even when health care costs; their concern is quality care. The woman, who did not give her name, is a fish trader; she said her maximum daily profit was about 10,000 Leones (US$2.50). The Makeni hospital currently charges 11,500 Leones ($2.95) for admission to the paediatric ward; an ordinary delivery can cost about $10.